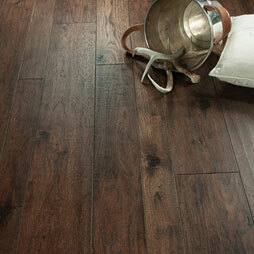 Available in maple and hickory, with a combined width of 4”, 6”, and 8” and random lengths up to 6’. Using proprietary Trueslice® technology, producing a very stable 2mm sliced face on a 1/2” thick (total) engineered plank. The slice face visuals mimic that of sawn face with a tighter, higher-end grain look than typical rotary cut products. 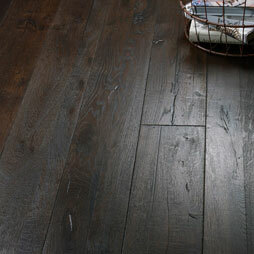 Wide hardwood planks are beautifully hand sculpted & lightly wire brushed. The contemporary to traditional style comes in a wide range of modern colors that will suit any lifestyle. Unique performance characteristics that make it a great choice for someone who wants the visuals that only oil can provide. Oil finishes have been used for centuries on floors and furniture.